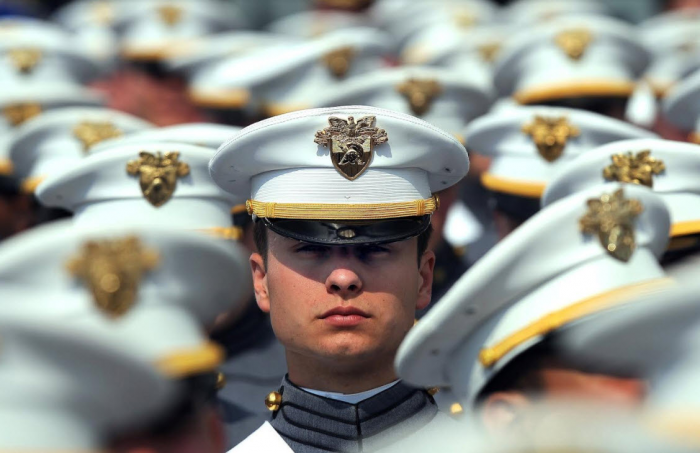 You are leaving the military and are faced with a challenging task of developing a resume. Given that you have to figure out how to make a perfect transition to a civilian job even if your military career is rich in achievements, so we have collected a number of tips for you. Whether your military resume does not get replies from employers or you are having a hard time creating one that will, these tips will be helpful to change that. Are Military Skills Attractive to Civilian Employers? Before we get to writing, there is one important thing you have to know: the skills you developed as a member of a military are truly valuable and in high demand. Your discipline, time management, commitment, and other qualities are something many employers are looking for. Former military members can be great leaders because they perform well under pressure and are resourceful and decisive. Military people have excellent training skills and can teach others. Military personnel are trained in a variety of areas. Cross-training is something that many civilian employers are looking for, too. Now, let’s learn how to make your resume attractive to civilian employees even when you do not have any experience on a civilian job. The person reading your resume, in most cases, will not understand the military language because they have no background. So, to avoid that, you have to translate military terms to civilian. For example, avoid using acronyms and military jargon. For assistance with converting terms, you can use Civilian Occupation Translator from Military.com. 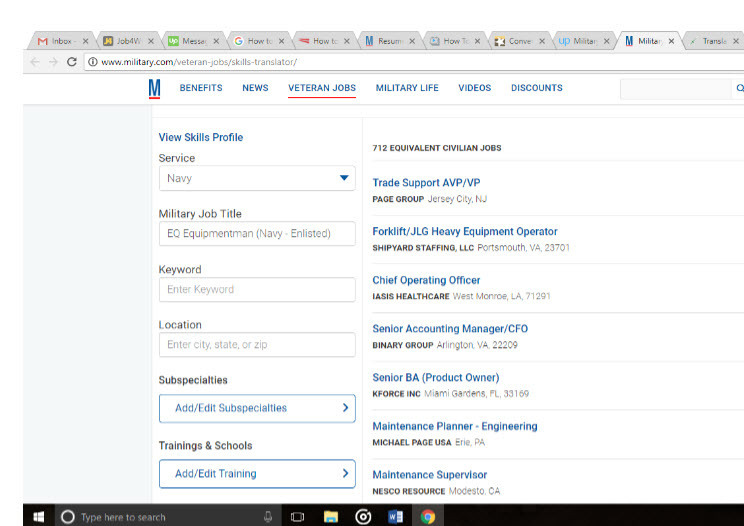 For example, after selecting “Navy” and typing “Equipmentman,” the search returned 712 equivalent civilian jobs, including maintenance planner, chief operating officer, trade support AVP, and maintenance supervisor. Important: if you want to make your resume tailored to the needs of the employer by copying the information from job postings like these, don’t. Plagiarizing will not serve you well. Identify the civilian job objective. Many former military members have been cross trained and have diverse backgrounds. By including everything in the resume, they make it too general, so the hiring manager will have troubles understanding the desired career path. So, define your career clearly to avoid confusion. If there are more than one job objective, consider creating two different resumes. Create an effective description of your skills. There are three specific areas of skills you need to include in your resume: technical, interpersonal, and leadership. Technical skills. A number of military careers such as mechanic, telecommunications specialist, and healthcare professional have related careers on the civilian job market. So, the skills you developed working in this field are equally important for civilian employers. Interpersonal skills. During your military career, you worked with different personalities to complete complex tasks within tight deadlines. As the result, your ability to communicate and collaborate with various people is superior. Leadership skills. Another important trait that many civilian employers are looking for is leadership. Thus, the ability to manage and lead people is something you should definitely highlight in your civilian resume because employers often perceive veterans as natural born CEOs. Provided tactical assistance to commanding officers and subordinates in completing three missions in Iraq. Provided strategic advice to a multi-professional team and superiors while completing complex objectives. Led a 10-man team in four combat missions in the Middle East. Led a 10-person team in completing various operational objectives. Outline your accomplishments. Throughout the years in the military, you have accomplished a lot. All your missions were a success and helped you to develop a variety of skills. New skills allowed to get certifications. Skills, accomplishments, certifications - all of this should be clearly described. To bring your military experience into a civilian resume, you have to de-militarize them. Any military language and jargon need to be changed into their corporate equivalent. Also, highlight your skills leadership, interpersonal, and technical skills – civilian employers are looking for them in resumes of former military members. Lucy Benton is a writing coach, an editor who finds her passion in expressing own thoughts as a blogger, and currently works at Awriter.